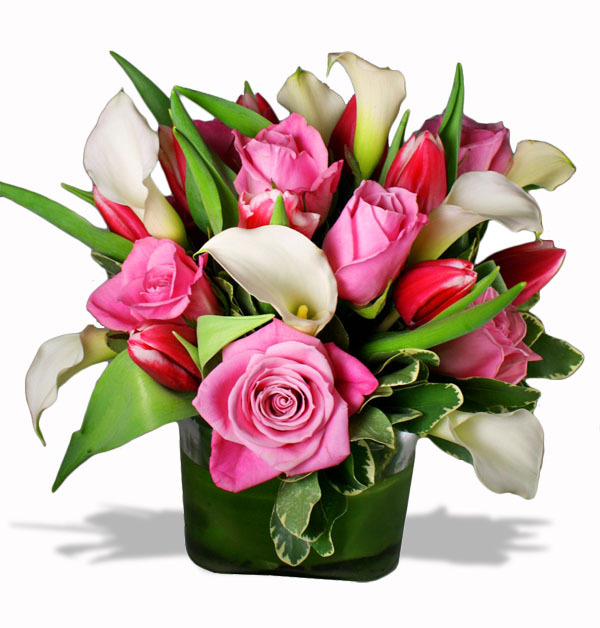 Send this modern cube vase, tight & compact full of premium miniature calla lilies, roses, and dutch tulips. Colors may vary slightly. You may also request your colors of choice, and we will do our best to come as close as possible. Copyright 2019 Belvedere Flowers of Havertown PA. All Rights Reserved.